Sometimes you just want to build your dream home from the ground up, and that is a great idea. When you have a vision of what the perfect home will look like, we can make that into a reality. Our builders are highly skilled and professionally trained, possessing the proper tools and resources necessary to build whatever type of home you desire. 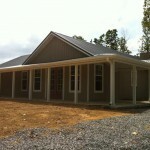 When it comes to home builders, we are the preferred experts in Missouri and Arkansas. We’ve proudly provide expert building services to local residents. Over the years we’ve built a reputation on superior craftsmanship and unmatched customer service. We strive to offer the most comprehensive list of new home construction options possible. Insulated Concrete Forms (ICF) is a building framework that incorporates insulated concrete walls that are permanent substrates in the building. This provides one of the most energy efficient frames for a home that is also resistant to natural disaster. Wood, brick and many other traditional building materials can be used to make you the classic and timeless home you’ve dreamed of. Our building prowess extends to all techniques to provide you with the perfect home for your needs. 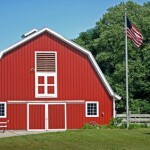 Post frame homes utilize posts instead of wall studs for quick and affordable home construction. Typically these homes don’t require the use of many expensive materials and provides you with an extremely affordable way to build your own home. 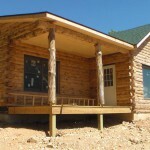 Warm and rustic, logs make a fantastic material for a home construction. Cabins offer an inviting feel that makes you want to relax. With a log home, you can feel that way every day. Steel foam buildings can be erected in half the time as traditional building materials. If you are looking for a fast way to move into a custom home, steel foam may be the right choice for you.